Tabihta Tindale y Vincent Cafiso, pareja tanto artística cómo en la vida real, mientras preparan lo que será la cuarta entrega de su excelente discografía como Joy Zipper, nos regalan pequeñas maravillas como esta. Tabitha Tindale and Vincent Casfio, who are partners not only in music but also in real life, while preparing what would be their fourth record in an excellent catalog as Joy Zipper, they give us little marveluos things like this. 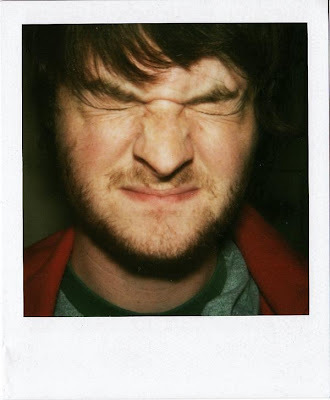 Michael Benjamin Lerner es el hombre detrás del nombre Telekinesis, quien recientemente ha recibido las alabanzas de Chris Walla en Stereogum y con el que grabará su disco de debut. De momento, ha editado un ep totalmente casero, solo disponible a través de su Myspace, donde también se pueden descargar algunas de sus canciones. Myspace, where you can also download some of his songs. 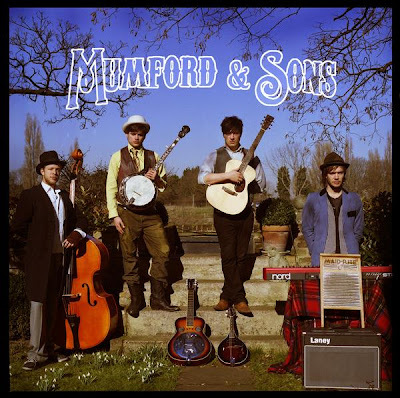 Mumford and Sons tan sólo llevan juntos desde las pasadas navidades, algo que nadie creería escuchando su música. Bluegrass, folk, country y pop aderezan la personal voz de Marcus Munford en preciosas canciones como White Blank Page, que de momento solo se puede escuchar en su myspace. Mumford and Sons have only benn together since last Christmas, something hard to believe when listening to their music. Bluegras, folk, country and pop go togheter with Marcus Mumford personal and emotional voice in beautifull songs like White Blank Page, only available to listen at their myspace page so far. 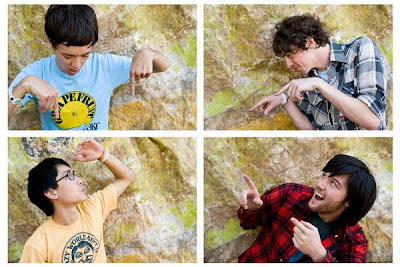 Chris Chu comenzó en el año 2005 The Morning Benders como un proyecto en solitario, grabando sus canciones con un micrófono y un portatil. Después de editar dos eps entre medias de los cuales reclutó a sus compañeros, Julian Harnon, Tim Or and Joe Ferrel, la banda se puso manos a la obra para dar forma a " Talking Trhough Tin Cans" su album de debut publicado este mes, un magnifico trabajo donde juntan la sensibilidad melodica de los Beatles, con el indie-pop moderno de The Shins. Chris Chu started The Morning Benders in 2005 as a solo project, recording his songs with a microphone and a laptop. 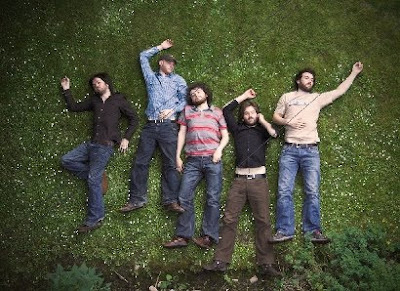 After two eps, and recruiting his friends Julian Harnon, Tim Or and Joe Ferrel the band started recording their debut " Talking Through Tin Cans", published this month, an excellent work in which they combine the melodic sensibilitiy of The Beatles with the modern indie-rock of bands like The Shins. 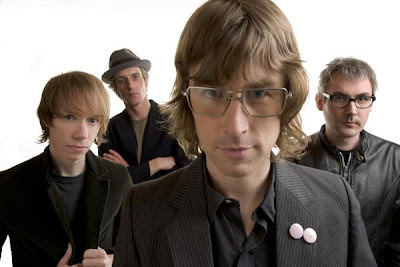 Sloan es una de las bandas canadienses más prolíficas, con diez albumes publicados en 16 años. También es una de las más coherentes, ya que en todo este tiempo han sido fieles a su pasión por bandas como los Beatles, Cheap Trick y en general el power-pop guitarreo de corte clásico. Su decimo trabajo se publicará el próximo 6 de Junio para el sello Yep Roc en USA. y será proximamente editado en España por Bittersweet. Parallel Play es el título del mismo y " I Am Not A Kid Anymore" su adelanto, un atentico pildorazo power-pop. Sloan is one of the most prolific Canadian outfits, with ten albums published in 16 years. Is also one of the most coherents, being faithfull all this time to their passion for bands like The Beatles, Cheap-Trick and classic guitar driven power-pop. His tenth album will be published on June 6 in USA by Yep Roc records. It is called Parallel Play and is full, as always, of amazing power-pop pills. " I Am Not A Kid Anymore" is one of them. 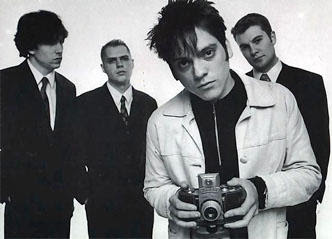 Attic Lights son de Glasgow, una ciudad que suele ser cantera de excelentes bandas de power-pop, entre las que destacan Teenage Fanclub, con la que comparten buena parte de sus influencias y a la que recuerdan en muchas de sus excelentes canciones. Power-pop luminoso, con preciosas armonias vocales y maravillosos estribillos es lo que contendrá el disco de debut de estos escoceses,que se publicará este Verano, y será uno de los discos del año sin lugar a dudas. Attic Lights are from Glasgow, a city that usually rewards us with excellent power-pop bands, being the most notable of them Teenage Fanclub. The sound of Attic Lights may resemble you a lot to the Norman Blake former band, since they share some influences and a knack for shinny power-pop, impressive vocal harmonies and catchy choruses. Their debut album, coming this summer, will be full of those kind of perfec power-pop songs, and will make fot one of the best records of the year for sure. Monkeeman son una banda Berlinesa que cita entre sus influencias principales a The Jam, The Clash, The Beatles o Teenage Fanclub entre otros. Llevan publicados dos excelentes discos de power-pop clásico y atemporal, especialmente " Jumping On The Money Train", un homenaje a sus bandas favoritas de los 60 y uno de los mejores discos del 2006. Este Verano verá la luz "Life on the Backseat", disco más combativo y enérgico. Su particular guiño a grupos como The Clash y The Jam y su crítica hacia una sociedad en la que todo gira alrededor del dinero. " Lonely Guy" es la canción adelanto del mismo. 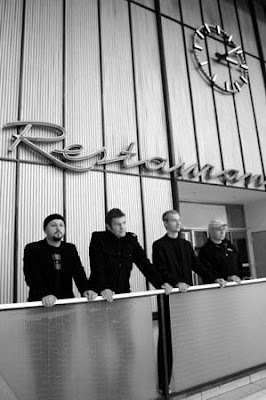 Monkeeman are a Berlin band that names The Beatles, The Jam, The Clash and Teenage Fanclub as their main influences. They have published two excellent records so far, records full of classic and timeless poer-pop, specially " Jumping On The Money Train", an homage to their favourite bands of the 60's and one of 2006 best works. This summer they will bring us " Life on The Backseat" a more combative and rocking effort, his particular wink to The Clash and The Jam and their critic to a society in wich everything is based around money. " Lonely Guy" is the single from the forthcoming album. Repetimos protagonistas en nuestro post de hoy. 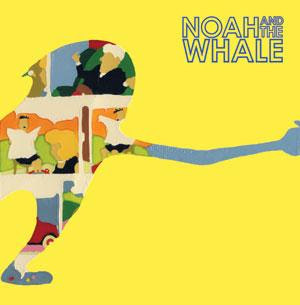 Y es que Noah and The Whale se han convertido en uno de nuestros decubrimientos favoritos. Publican estos días nuevos single, The Shape of My Heart, maravillosa canción que viene acompañada como ya es habitual de un excelente vídeo. We repeat in our today post with a band that has become one of our's favourite discoveries this year so far. Noah and The Whale are putting out a new single this days, The Shape of My Heart, a fantastic song, that also comes with a fantastic video.